We are currently on holiday in the South West of France (by far the best bit of the Hexagon, in my not so humble opinion) and, what with that and the inevitable pre-hols work nightmare, I’ve kind of got behind on posting, which is a shame as I really want to post on a couple of great books I’ve read recently – a fantastic ‘60s London crime novel and a rich and epic memoir of growing up in the Soviet Union. Still, before I can do that, I need to finish my count down of my top fifty childhood books. So, continuing where I paused, before swanning off to sun, sea and gorgeous food………. and iffy poetry, these timeless tales continue to appeal in their simplicity and originality. Mini-Falaise enjoys How the Leopard Got His Spots as much as I ever did – what makes it even more special is the fact that the cover of the Folio Society edition from which I read to mini-Falaise is the same as that of the edition my father bought for me nearly 40 years ago, O Dearly Beloved. 32. Noggin the Nog by Oliver Postgate. This series of books, based in the cult children’s TV series, featured the aforesaid Noggin, the heir to a quasi-Viking throne, who is constantly battling his wicked uncle, Nogbad the Bad. This one probably won’t ring any bells for anyone non-British or under the age of 40. 33. Comet in Moominvalley by Tove Jansson. One thing I’ve noticed in this top 50 list is the Scandinavian influence, either authorial or in the characters – I don’t know if this is coincidence or whether Scandinavia was an epicentre for children’s writing during the ‘70s but it’s interesting (at least to me). I don’t think I read all the Moomins books but this is the one that has stuck in my mind. The Moomins were white, round-faced fairytale-like characters who lived in Moominvalley and had numerous adventures. As well as also featuring in a TV series, there is also apparently a Moomin theme park in Finland. 34. 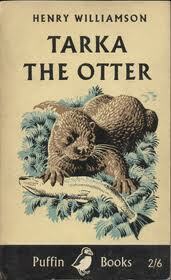 Tarka the Otter by Henry Williamson. This is another wonderful book where one has to separate one’s views on the book from one’s feelings about the author (Williamson’s popularity dwindled after he became a supporter of Oswald Mosley). It tells the story of the life and death of the title character, an otter living on the banks of the rivers Taw and Torridge in Devon. What separates this from the usual animal story is its lack of anthropomorphism – Williamson tends not to ascribe human motives or emotions to his characters – and a pretty brutal description of the hunt for Tarka by the local otter hunt. It’s a real antidote to much of the over-sentimentality that features in children’s books with animal characters. 35. Smith by Leon Garfield. I don’t know if children still read Leon Garfield’s books today – if not, it’s a shame because they are rich and vivid. Smith is the story of a young pickpocket in Victorian London who witnesses a murder and finds a document belonging to the victim, which leads to him being hunted across London. I remember the feel of London that Garfield created (and which I can now describe as Dickensian!). 36. Jennings and Darbishire. Technically, Jennings is the protagonist in Antony Buckeridge’s tales but Darbishire, his side-kick and foil, is so integral to them that it seems unfair to exclude his name. 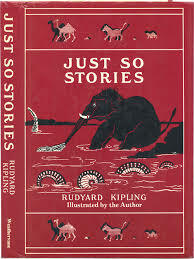 As a pre-school kid in late ’70s England, these stories were almost custom-built for me. Jennings and Darbishire are boarders at Linbury Court, a fictional prep school. Their adventures were hilarious (although probably massively dated now), revolving around Jennings’ uninhibited curiosity. I can’t pick a favourite but Jennings Follows a Clue and According to Jennings would be contenders. 37. The Silver Sword by Ian Seraillier. A true classic, this is the story of four children in wartime Europe, trying to make their way from Poland to Switzerland to find the parents of three of them who have been taken away by the Nazis. of an old witch, living alone on a glass mountain. She is lonely so the girls draw her a family and these are their stories. I loved this as a kid. 39. The Diary of Anne Frank. It’s a classic, everyone knows it and there’s little I can add to the sum of human knowledge about it, save to say that, like millions, it touched me deeply. 40. One Day in the Life of Ivan Denisovich by Alexander Solzhenitsyn. Like Anne Frank’s Diary, this wasn’t specifically written as a children’s book but we read it at school when we were quite young so I feel free to include it here. As it says in the tin, it tells the story of one day in the life of a prisoner in one of Stalin’s gulags. Obviously the political detail escaped me then (if you’re interested read Gulag by Anne Applebaum – brilliant history) but it moved me and made me think hard. So there we have it, just ten more to go…………which will follow on my return from La Belle France.